"I did it!" – Those were Israeli sailor Shahar Tzuberi's first words after he won the Olympic bronze medal Wednesday, in the men's RS:X windsurfing sail at the 2008 Beijing Olympic Games. Olympic RS:X gold went to New Zealand's Tom Ashley, with France taking the silver. Despite an ominous start to the final sail, in which the surfers had to go back to the starting line due to a disqualification by the Greek surfer – who lost 20 points – Tzuberi was able to make up for lost time and gain the lead; finishing the crucial final race – which allows for a double score – in second place, ranking third overall. The 19-year-old surfer from Eilat was considered one of the Israeli Olympic team's best hopes for a medal. "I did it!" said Tzuberi immediately after the results were confirmed, a huge smile on his face. "This took a lot of hard work. I'm very happy about this achievement and about how happy everyone is back home." Recounting the sail, Tzuberi said, "I had a good start but then I had to go back because of the disqualification. I knew throughout the race that I could better my position… I made some strategic decisions and they paid off. After the first buoy I could see it was possible and I went for it." Prime Minister Ehud Olmert was among the first to congratulate Tzuberi after his triumph: "You have no idea how excited we all are for you," he told the 19-year-old. "I've been following your performance over the last couple of days and I admire your composure. I can see you (on television) waving the flag… I wish you the best of luck." Science, Culture and Sport Minister Raleb Majadele was quick to follow: "You sailed forward – full steam ahead – and you gave us all an exciting Olympic medal. Well done." Opposition Leader Benjamin Netanyahu, sent his regards over the Knesset plenum: "Tzuberi is a credit to Israel and Israeli sports." Next to congratulate was MK Ronit Tirosh (Kadima), who head the Knesset's Sports Lobby. "Congratulation to Tzuberi, for saving face and kudos to his trainers." MK Ophir Pines-Paz (Labor-Meimad) concluded, "Tzuberi has proven he is a great athlete, who's got what it takes to be a champion. Sailing has proven once more that it reigns supreme in Israeli sports and that it can produce world-class champions." 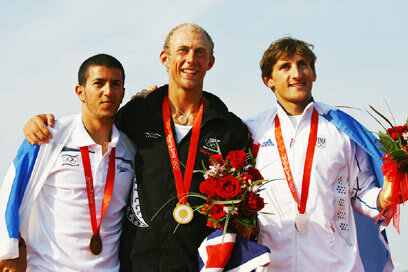 Tzuberi's is Israel's third Olympic sailing medal. Israeli sailor Gal Fridman won the bronze medal in the 1996 Atlanta Olympics and the gold at the 2004 Athens Games. 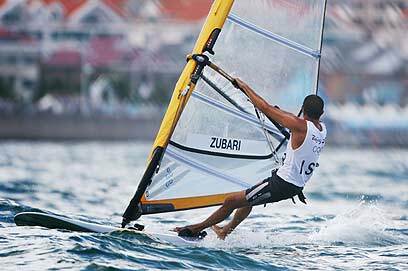 See all talkbacks "Israeli sailor Tzuberi wins Olympic bronze "